"Therefore, if anyone is in Christ, he is a new creation; the old has gone, and the new has come! All this is from God, who reconciled us to himself through Christ and gave us the ministry of reconciliation: that God was reconciling the world to himself in Christ, not counting men's sins against them. And he has committed to us the message of reconciliation. We are therefore Christ's ambassadors, as though God were making his appeal through us. We implore you on Christ's behalf: Be reconciled to God." December is a time to prepare ourselves in celebration of the first advent of Christ, the Anointed One, who appeared as Jesus of the Nazareth. His advent was according to God's promise to send a Savior to His people. Glory to God and peace to the world! His first advent was not for glory, however, but to suffer, die, and pay the price for the sins of all humanity. It was God's way to reconcile the world to Himself, which was beyond anyone's imagination. Praise and honor to Him and Him alone! At the same time, His advent is God's promise and reminder that Christ will come again on the Day of Christ. When He returns, He will no longer come as a slain lamb but as the Lion of Judah and the King of kings. What a promise! God's own act of reconciliation to bring peace to the world demonstrates His commitment to the message of reconciliation for His believers to share with the unbelieving world. God has given His followers a responsibility to be ambassadors of Christ. In this season of celebrating the birth of Jesus Christ, God's precious gift to the world, all missional entrepreneurs should remember His holy calling to be ambassadors of Christ in reconciling the world to Him through the businesses they run. With the clear understanding of the profound meaning of Christmas, this season's greetings will be as meaningful as it was intended to be. 1. "God does not call the qualified. He qualifies the called." How genuinely true this statement rings! He has been so faithful in qualifying SfK Ministries by sending intellectual and financial resources to strengthen its weaknesses. Mark Russell is the newest addition that God has sent to SfK Ministries. Mark will join the board of directors of SfK Life Corporation from 2017. 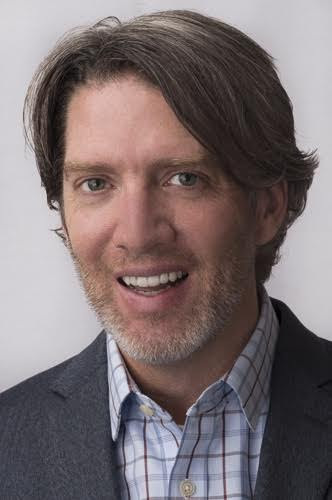 Mark Russell is the founder and CEO of Russell Media, also known as Elevate Publishing and Catalyst Publishing, an innovative and entrepreneurial publishing firm. Mark is a seminary-trained minister and a scholar in the BAM ecosystem. He received a Ph.D. from Asbury Theological Seminary and Master of Divinity from Trinity Evangelical Divinity School. His Ph.D. thesis was on the topic of BAM. 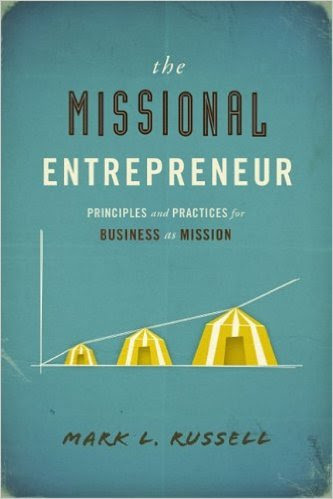 Recently, he has published a book, "The Missional Entrepreneur," that describes the principles and practices for Business As Mission, which is only one of 60 publications he has been involved in. We are thrilled to have him join us as a member of the board of directors at SfK Life Corporation. Praise the Lord! For all BAM practitioners or would-be BAMers, Mark's book is a must-read. 2. 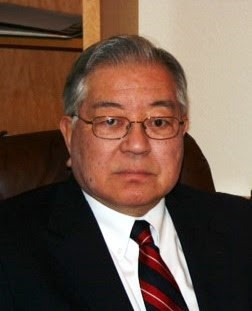 Also, Dr. Tetsunao (Ted) Yamamori has agreed to serve as Advisor to SfK Ministries. He was formerly global CEO for Food For the Hungry for 17 years and is a pioneer in BAM movement and Diaspora Mission. His rich experiences and wise insights would help guide SfK Ministries to remain on the right path. 3. Finally, our efforts to building a cloud-based database are coming to fruition. The first phase of development will soon go into the user acceptance test (UAT) and hopefully it will be up and running in January 2017. We are grateful to Ji Bae, Director of IT, and his team members who have been working relentlessly over the past several months. 4. Jeffrey Lee visited Denver, Los Angeles and Dallas to meet with several important people groups. His meetings included preaching on Sunday Worship and sharing about SfK Ministries to a small group at Logos Central Chapel in Denver, a gathering of Kingdom Fellows based in greater Los Angeles and meetings with Ted Yamamori, Paul Clayton, SVP of Mission One, Colene Caldwell, Baylor University professor, David Chong, Senior Pastor of New Life Church in Denver, Dr. Brad Strait, Senior Pastor of Cheery Creek Presbyterian Church in Englewood, CO. He also explored possibilities of collaboration in the areas of e-commerce and value chain business to aid missional entrepreneurs in the SfK eco-system. God's grace that was poured upon Jeffrey's trips was beyond description. Glory be to Him only! 5. The processes of establishing SfK Asia in Chiang Mai, a regional hub for Asian ministries, and SfK Korea plus the first SfK BAM Fund are continuing. Since Jeffrey has relocated his primary residence to Chiang Mai, Thailand, the process is expected to move faster. Please pray for God's favor upon this process. Skybay Thailand, the Thailand implementing member of SfK Ministries, is hosting its first business plan contest in December. As is the case for all first attempts, uncertainty remains, but we will see what the Lord has in store for Thai young adults who aspire to be missional entrepreneurs. Dec. 19-22, 2016: The Association of Korean Missionaries in Thailand is hosting its annual conference in Pattaya, Thailand. Jeffrey will give a presentation about BAM as a member of several speakers. Feb. 13-16, 2016: A Global BAM Summit will be held in Chiang Mai, Thailand. Many participants will fly in to discuss practical ways to advance the BAM movement forward. Jeffrey will take part in this summit as a member. Mar. 7-11, 2017: Lausanne Movement's BAM Global Think Tank is hosting Wealth Creation for Holistic Transformation consultation. The consultation will have seven groups on sub-themes and Jeffrey will participate in two groups. Please pray that this consultation will produce fruitful outcome on this important topic. SfK Ministries has begun our Year End Giving campaign via e-mail. This campaign will continue until the year-end. Please pray that the Lord will move the hearts of several visionary donors who share the vision and mission bestowed upon the BAM movement so that sufficient resources will be provided for SfK Ministries. Please pray for Ji Bae, Director of IT, and his team so that their tireless efforts in developing a cloud-based database will bear fruit and be useful for the ministry on a long-term basis. Please pray that the business plan for 2017 will be developed in line with God's grace so that we will bear witness for His grace and His power through our ministries in 2017. Please join us in prayer for God's favor in establishing ministry entities in Thailand and Korea. It is challenging to meet and overcome legal and regulatory requirements, but we trust that nothing is impossible in Him. Until we share with you what the Lord is doing through SfK Ministries, I pray that the good and faithful Lord will bless you with His divine peace, overflowing grace, unceasing joy and everlasting grateful heart.